FREE 30-Minute Play Games With Purchase At Chuck E. Cheese! 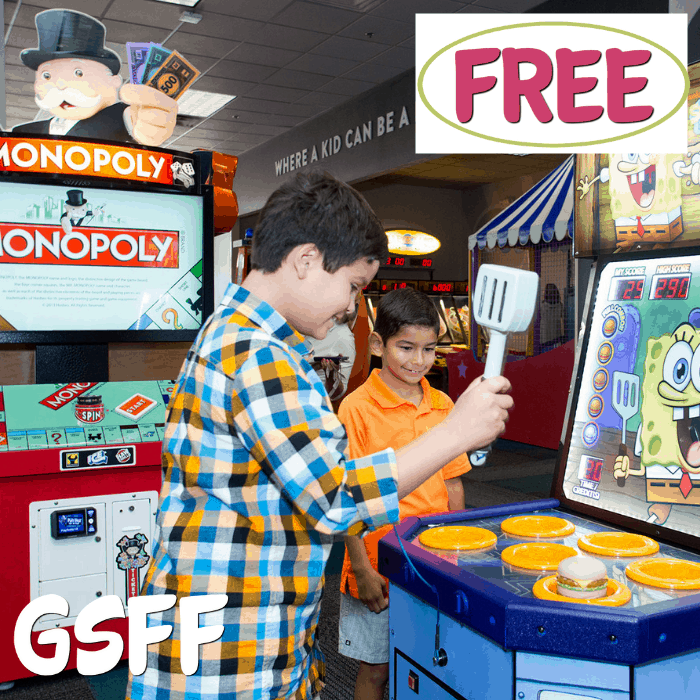 You are here: Home / FREEbies / FREE 30-Minute Play Games With Purchase At Chuck E. Cheese! Until December 24 only! Chuck E. Cheese is offering a FREE 30-Minute All You Can Play Games with food purchase! All you need to do is get the coupon here and go to your nearest location to claim your FREEbie! Please note that only one coupon is valid per party and is available at participating locations only.